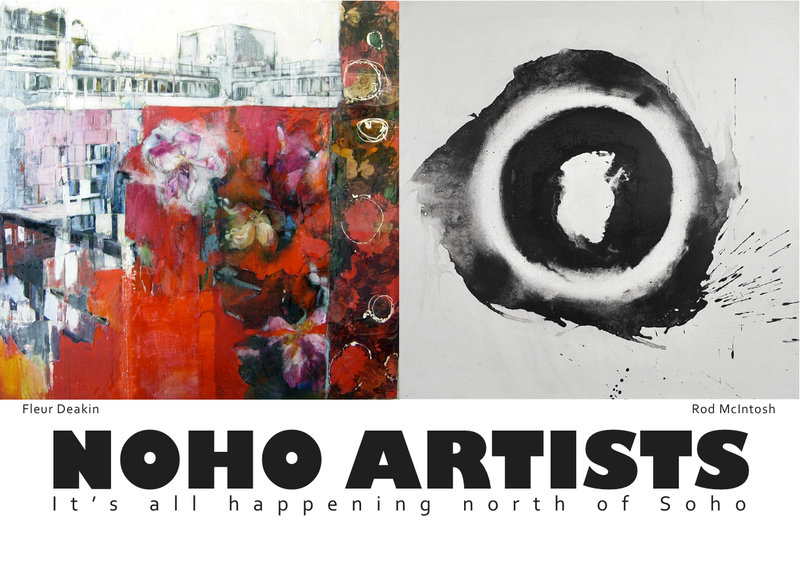 NOHO ARTISTS is a ‘pop up exhibition’ across two domestic venues. Linking two points within the heart of the west end of London. They are the live/work spaces of artists Fleur Deakin and Rod McIntosh. Making a north : south connection between Noho where Deakin is well placed within a bright 4th floor rooftop studio apartment overlooking a gated garden and Soho, where McIntosh lives within an urban epicentre of constant cycle of change, decay and renewal. Deakin has been producing and selling floral paintings nationally for 10 years. Questions such as “why am I painting flowers when I live in the centre of London?”, “where do I belong?” and “is there a creative community near me that I can be part of?”. 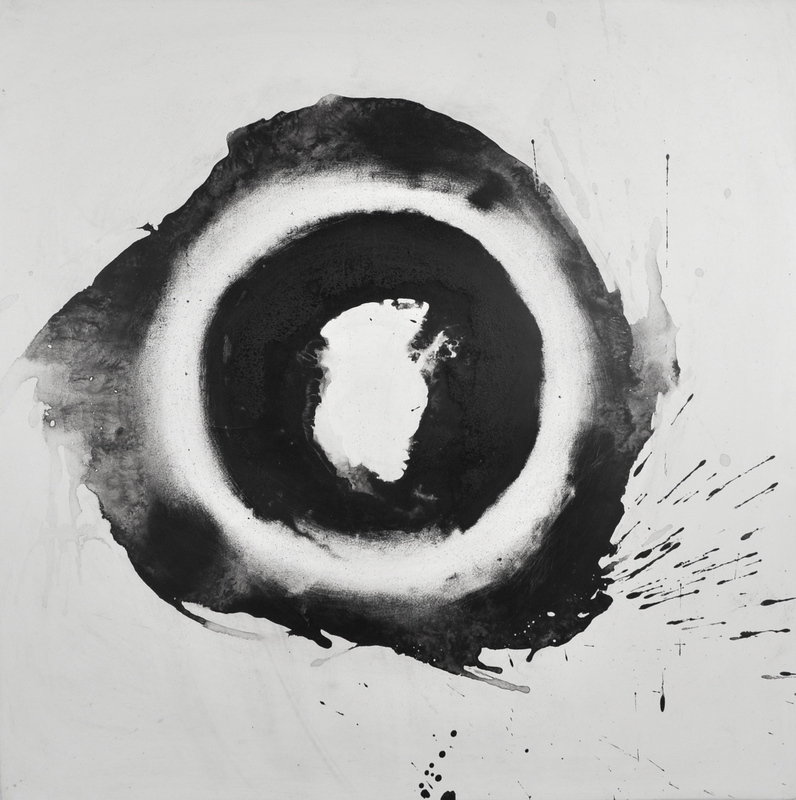 Both artists exhibited at art fairs in 2011, where they met sipping champagne and discovered they live 10 minutes from each other. Here they to began to make connections other than simply geography. Attracted to each other’s work, charisma and drive they embarked upon working towards how they may work together or support each other’s development. This is this first collaborative exhibition, a further project is in the pipeline for the Soho:Noho pair in early 2013. Each will select a piece of the others work to show within their space alongside their own. Furthering a connection between practices. An essay written by Crista Cloutier* about each other and their work will accompany the exhibition. Private View Saturday 1st December, 6.30-8.30pm. By invitation. Open House Sunday 2nd December, 11.00am – 5.00pm. By invitation. Show Continues Monday 3rd – Wednesday 5th December. By appointment. It is a 10 minute walk between the two sites, passing by many of the neighbourhood art galleries, leading creative industry hubs and premiere leisure/hospitality venues of Charlotte Street and Soho Square. For an invitation to the exhibition, or to make an appointment to view please mail either fleur@yahoo.com or subscribe to my mailing list to the right.